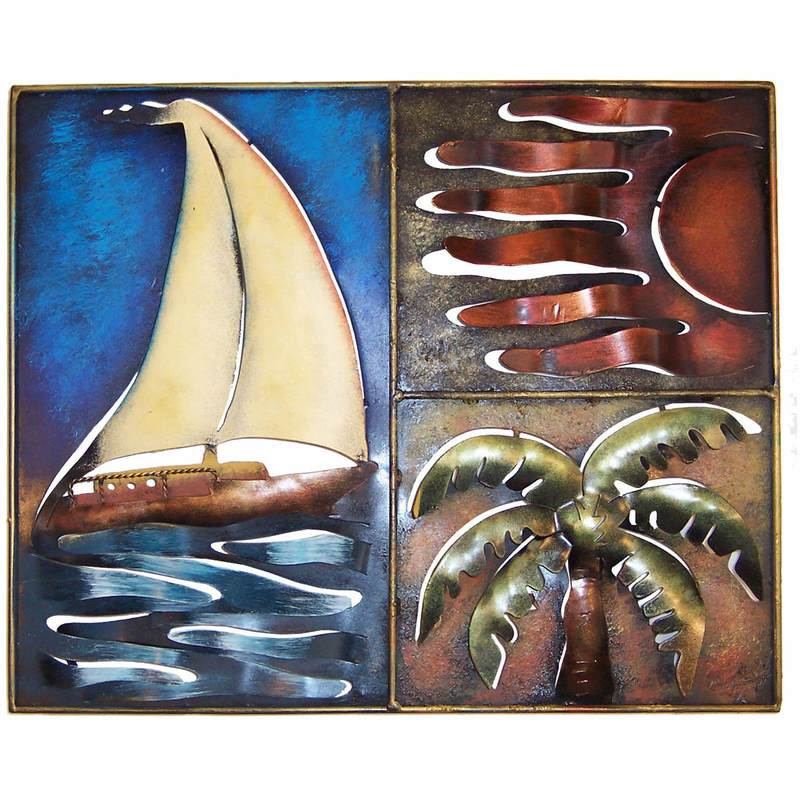 Accent your tropical home with the Day at the Sea Metal Wall Art. This beach wall art features a delightful sailboat, sun and palm tree collage with cut-out and dimensional details. For even more options, we ask you to take the time to explore our whole variety of beach wall art at Bella Coastal Decor now.